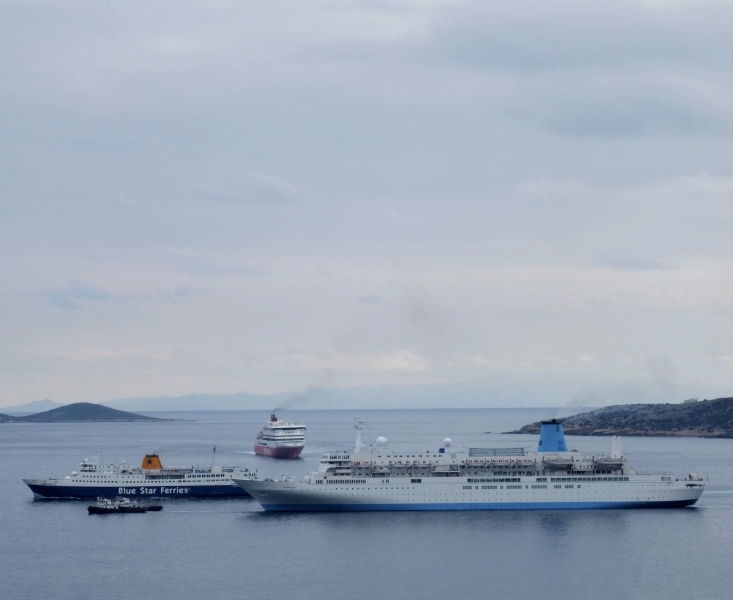 Thomson Spirit departs Syros after her annual dry-dock; while Superferry II is sailing to Tinos Island. 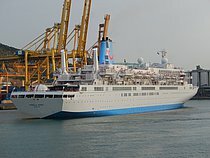 By that time, Superferry II was operating between Piraeus, Syros, Tinos and Mykonos on a daily basis. 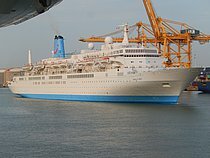 The red ship at the background of the picture is probably Superfast V. If so, this is one of her last pictures in her red livery as she was sold to Brittany Ferries and renamed “Cap Finistere.” She is on her way to Syros in order fill the gap that Thomson Spirit left at Neorion Shipyards. The tug boats are Kerveros and Orpheus, property of the mentioned shipyards.